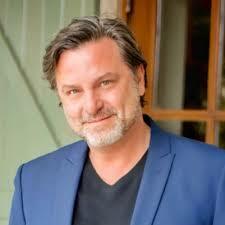 "Survivor" contestant and real estate agent Jeff Varner has been fired from brokerage Allen Tate as a result of his actions on the show. Most real estate agents would consider reality television good business — but as Jeff Varner learned last week, sometimes putting your face (and words) in front of millions of viewers can backfire in a big way. Anyone who’s been following the hit reality television series Survivor for any amount of time is used to drama, but what happened on last week’s episode was unprecedented in a couple of ways: a gay cast member outed a transgender cast member against his wishes, and then after getting kicked off the island, the “outer” (Varner) lost his job with real estate brokerage Allen Tate. The premise of Survivor, if you somehow haven’t yet seen even one episode despite it stretching for 17 seasons, is to plop a group of strangers in a deserted location, where they need to obtain the basics for making it — food, water, fire, shelter. In each episode, they compete in challenges to earn immunity from being voted off the island — which also happens to one contestant in every episode. The last person standing on the island wins the grand cash prize of $1 million. Varner is a former contestant who come back for another shot; this season’s theme, “Game Changers,” includes a full cast of former contestants who were considered remarkable in some way. After losing immunity in the challenge last week, Varner made a mistake while negotiating for his safety, and it got him voted off the island. When Varner realized that Smith wasn’t publicly “out,” he apologized, but the damage was done. His fellow tribe members voted him off the island. Varner said in a “day after” video that he was happy with his performance on the show overall — but he thought he went out in the worst possible way, and he isn’t proud of how it ended. “I misread a situation drastically that really had this horrible thing happen,” he said. On Thursday, Varner was fired from real estate brokerage Allen Tate. “The Allen Tate Companies were built on core values of honesty, integrity and respect. Those fundamental beliefs led us to end our relationship with Mr. Varner, a real estate agent who had become affiliated with our firm just 17 days earlier,” Riley said. Varner indicated that he was on the hunt for a new brokerage and was taking his clients with him. “I’m talking to several firms now that I know will care about and believe in their employees. I have had several reach out [and] I’m confident I’ll find a better home,” he told ET. Survivor show host and executive producer Jeff Probst told Entertainment Weekly that what happened to Smith “falls outside the normal boundaries” of what’s acceptable. Inman has reached out to Varner for comment.